An aging hipster enlists the aid of his daughter to pursue a music career. "All things must change, and that is life." "You know, every now and then, we have to accept our circumstances and adapt accordingly." From time to time, everybody needs a source of feel-good comfort in their life - we’re only human after all. Sometimes it’s obliging an infuriating food craving or talking to someone close to you, but more often than not, it comes from the beautiful escapism of film. If that’s the case, then Hearts Beat Loud definitely has the qualities to be that dose of on-screen feel-good comfort you’re after. Frank Fisher (Nick Offerman) is a forty-something hipster. Once a record selling musician turned record store manager, his quaint little shop is set against the hipster village background of Red Hook in Brooklyn, New York. At the same time, Frank is a single father to his California medical school bound daughter Sam (Kiersey Clemons). Despite its aesthetic value, Frank realises a record shop realistically won’t support his life’s needs, let alone pay the rent to his landlady/sort-of-but-not-really love interest Leslie (Toni Collette). He takes the decision to pursue his love of playing music once more - the final convincing straw being a smug millennial snubbing his prices for online retailers literally right in front of him. As an escape from hitting a crossroads in his own life, Frank and his daughter really bond over music; he manages to cajole a now far more academically inclined, begrudging Sam to jam with him again. Frank recaptures parts of his own youth in these sessions but also discovers a song Sam had written and the pair work out the kinks to create a really brilliant track. From there, the opportunity of getting back on the music making horse is at the forefront of Frank’s mind, yet Sam’s future not only inevitably quashes that fantasy, but it also complicates their relationship at a seriously difficult time. 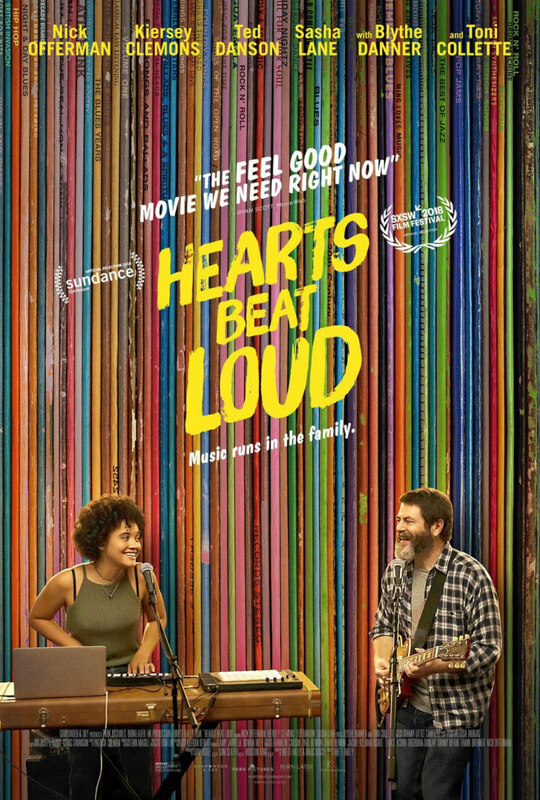 Co-written and directed by Brett Haley, Hearts Beat Loud shares some similarly brilliant traits with the likes of Greta Gerwig’s Oscar nominated Lady Bird; they both heavily invest in showcasing human emotion and both nail it down to a tee. Although the former doesn’t deserve and rightly won’t gain any such recognition as the latter, Haley eloquently conveys a genuinely vibrant and easy-going story in a simplistically fresh style. In both a clear but subtle manner, Hearts Beat Loud illustrates the plight of taking life for granted and is relatable and real as a result. Additionally, thanks to Haley’s direction, the movie tastefully succeeds at capturing the challenges of human relationships - especially that of a parent and child. In a number of sequences, the writing accurately depicts the heartbreak of having to make hard life-altering decisions and what the fall-out of those decisions can be. Just as her Dad is at a crossroads, so too is Sam as she has to decide between continuing with or deserting her newly re-born creative interests and romance with her girlfriend Rose (Sasha Lane). Remarkably though, this tension doesn’t deter from a very enjoyable and chilled out sitting. Indeed, while the script is brilliant in its own right, Offerman, Clemons and Ted Danson (he plays Dave - Frank’s friend and voice of reason) are but a few of the notable performances on display in this film. In particular, Offerman and Clemons share the chemistry which drives the film for its duration. Their on-screen jamming sessions (which are pretty impressively all real and not in any way dubbed over by other musicians) not only result in the creation of pretty catchy tunes, but nicely highlight that life is always about a matter of perspective: sometimes it’s important to take a step back to consider life from a different viewpoint and not merely go gung-ho through the normal mechanics of society’s expectations. Although this film ventures into the realms of predictability and despite the occasional feeling that something is missing, Hearts Beat Loud remains a perfectly pleasant little indie. 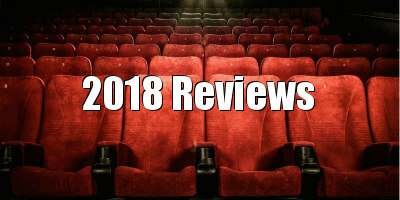 Its natural charm and beautifully crisp cinematography do provide a warm natured feature that’s definitely worth a watch in those times when you need that pick-me-up. Hearts Beat Loud is on Netflix UK now.